Voting is underway in Kamuli. Five contestants in the race; Watongola (NRM-O), Musumba (FDC), Naikoba, Walugyo & Kiboome (Independent). Courtesy Photo. Polling is underway in Kamuli municipality where constituents are voting for a Member of Parliament. Long queues are visible at major polling stations where voters were seen popping in as early as 6:30am in preparation for polls that started shortly after 7am. No major delays were registered according to Electoral Commission Deputy Spokesperson Paul Bukenya. 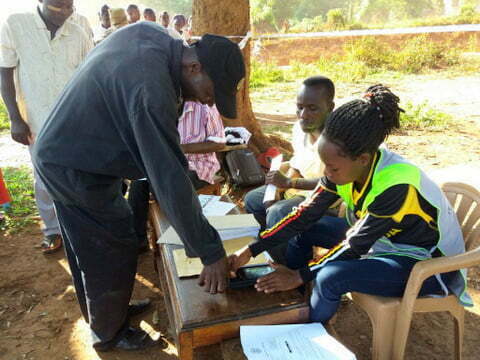 Polling officers at Busota Primary School polling station in South division say that hundreds of voters arrived to cast their votes even before the arrival of voting materials. The materials arrived at 7:30am delaying the polls by more than 30 minutes. The same scenario was witnessed at Butekanga polling station in Nankulyeku parish. Located in Eastern Uganda, Kamuli municipality has 54 polling stations and 29,668 registered voters. It is made up of two Subdivisions: Northern division and Southern division. EC’s Paul Bukenya told this publication that voting in both divisions and across polling centres is running smoothly. The by-election attracted five contestants. 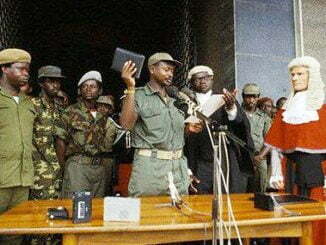 They include Rehema Watongola, a candidate for the ruling National Resistance Movement – (NRM-O) Party, Proscovia Salaamu Musumba, from the opposition Forum for Democratic Change (FDC) party and independent candidates Proscovia Naikoba Kanakutanda, Samuel Walugyo and Mike Kiboome. It follows the ejection of NRM candidate Rehema Watongola from parliament over lack of requisite academic qualifications. The court decision followed a petition filed by her political rival Proscovia Salaamu Musumba, accusing her of uttering and using false documents to contest for the Kamuli municipality parliamentary seat. In her petition, Musumba argued that Watongola didn’t possess the requisite academic qualifications at the time of her nomination. The minimum requirement for Ugandan legislators is an A-level certificate from the Uganda National Examinations Board, or its equivalent. Watongola had used a Uganda Certificate of Education (UCE) Certificate, A Diploma and Degree in Public Administration and Management from Busoga University for her nomination as a contender in the 2016 election. But Musumba contended that Busoga University had revoked all awards given to Watongola on the grounds that the certificate upon which she was admitted to Busoga University was investigated and found to be false or forged. The papers were revoked by a senate meeting convened on December 17 2010. However, Watongola obtained an Advanced Level Certificate of Education from UNEB last year. The two last faced off in the 2016 parliamentary election in which Watongola emerged winner with 8,175 votes followed trouncing Musumba who polled 6,702 votes. 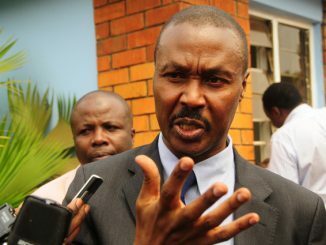 In the same race, Prossy Naikoba Kanakutanda polled 495 votes. 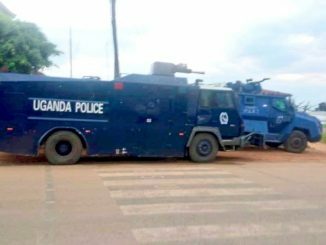 President Yoweri Museveni has since pitched camp in the area as well as key leaders in the FDC party, each side safeguarding its candidate’s votes.